Oh cakes! I really love a moist slice of cake to go with my tea in the afternoon. 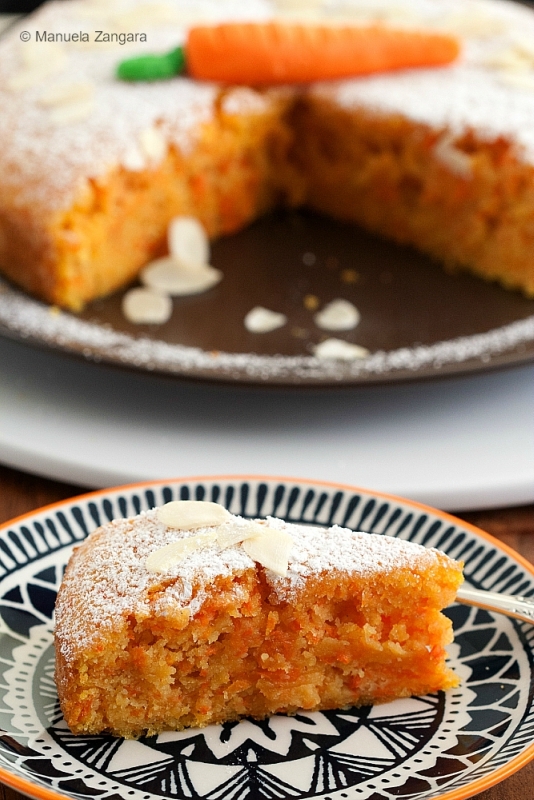 This Italian Almond Carrot Cake is particularly good. 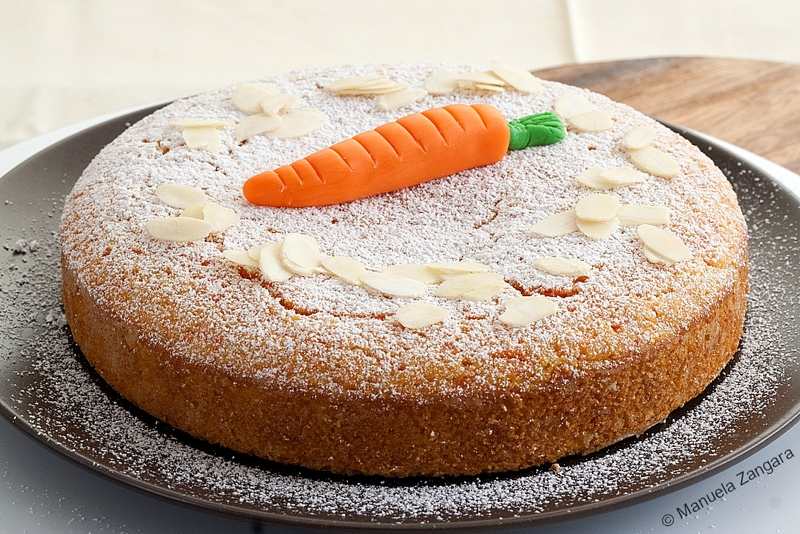 It is very soft and packed with carrots! 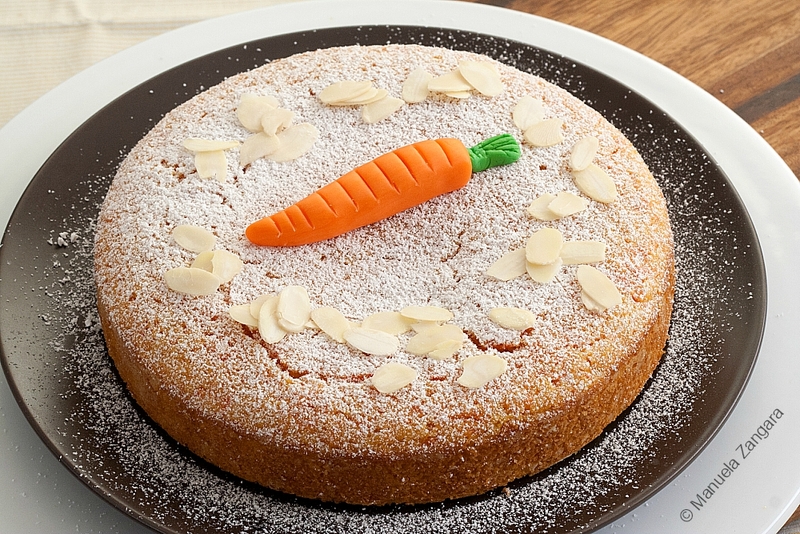 It contains very little flour and the almond meal helps to keep it moist. 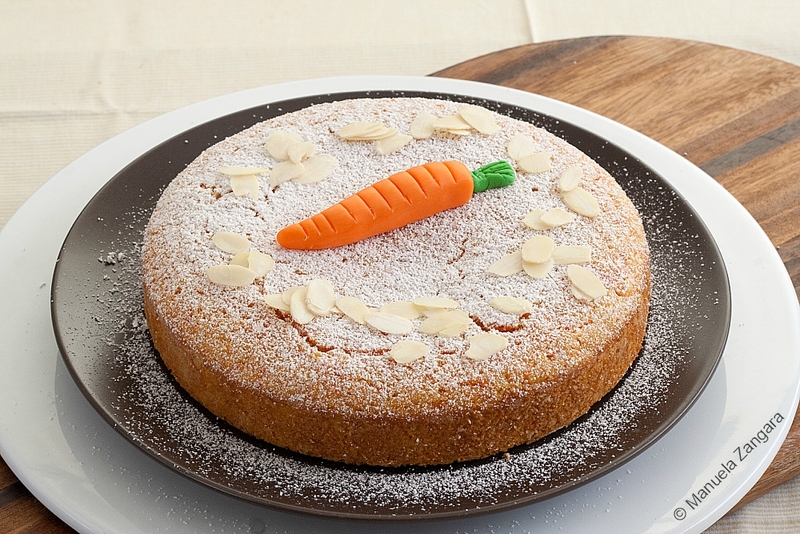 Almonds also give the gave a very distinctive flavour that reminds me of Sicily. 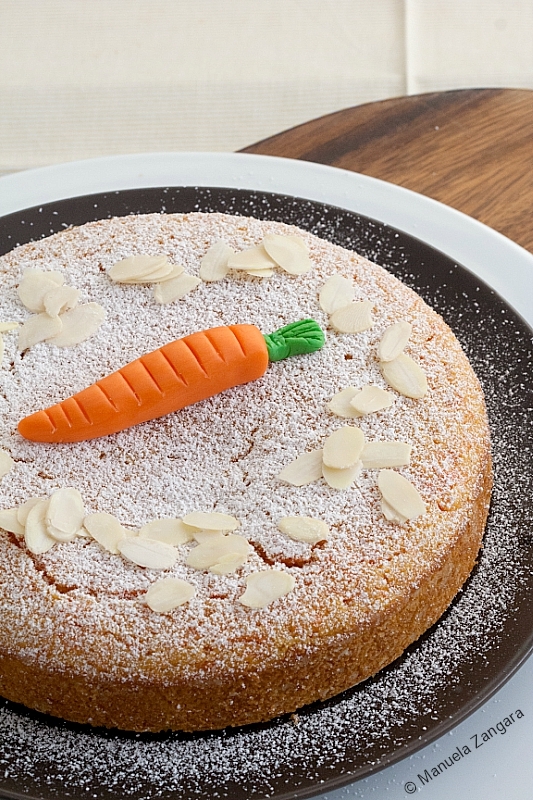 But back to this Italian Almond Carrot Cake! You can make it gluten-free by simply substituting the all purpose flour with the same amount of almond meal. Easy, right? 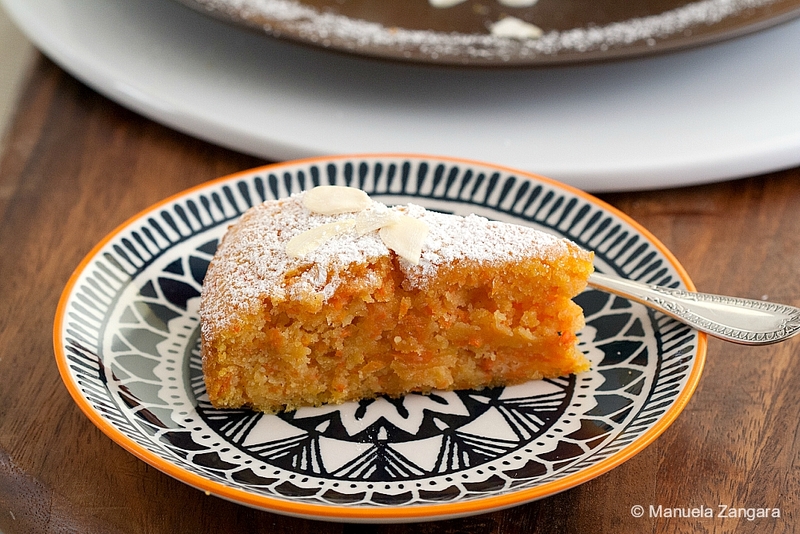 And… this cake is also dairy-free! Try it and let me know what you think in the comments. 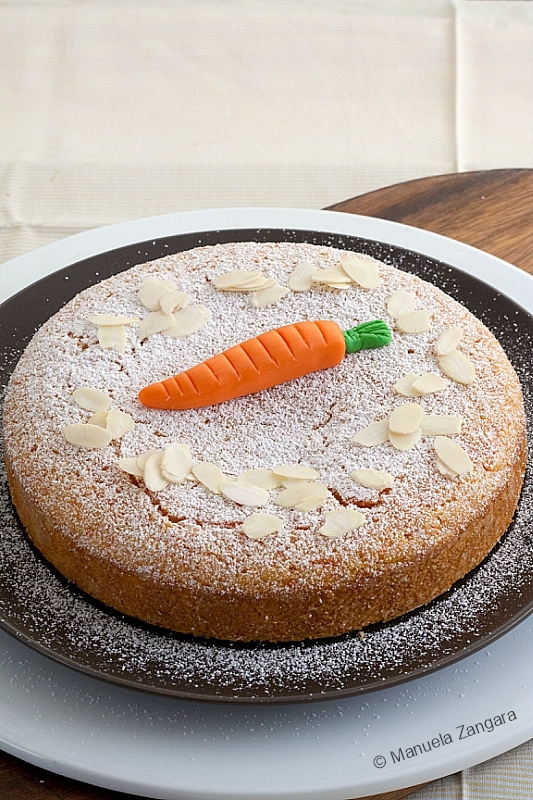 Italian Almond Carrot Cake – very moist and packed with delicious carrots. Almonds give it that extra kick! 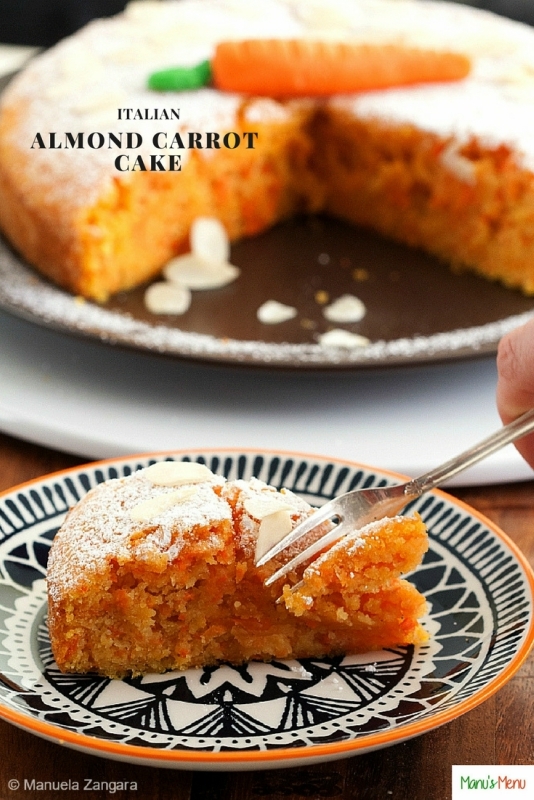 In a big bowl, mix the grated carrots, almond meal, and caster sugar. Add the eggs one by one, and keep stirring. Add the vanilla extract and lemon essence, and stir. Add the flour and baking powder, and stir until well combined. Pour into a greased 20cm – 8 inch springform tin and bake at 180°C – 355°F for about 30-40 minutes or until cooked through. Let it cool down before unmoulding and dust with icing sugar before serving it. For a gluten-free version, substitute the all purpose flour with the same amount of almond meal. 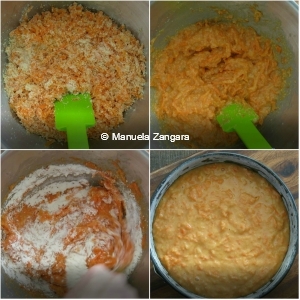 Hello Manu, I love this recipe of yours. You just gave me an idea how to entice kids in eating vegetables specially carrots. I think this would be more delicious to kids when used with a Rabbit mold and I can’t wait to try it. Thank you so much for sharing this healthy recipe.